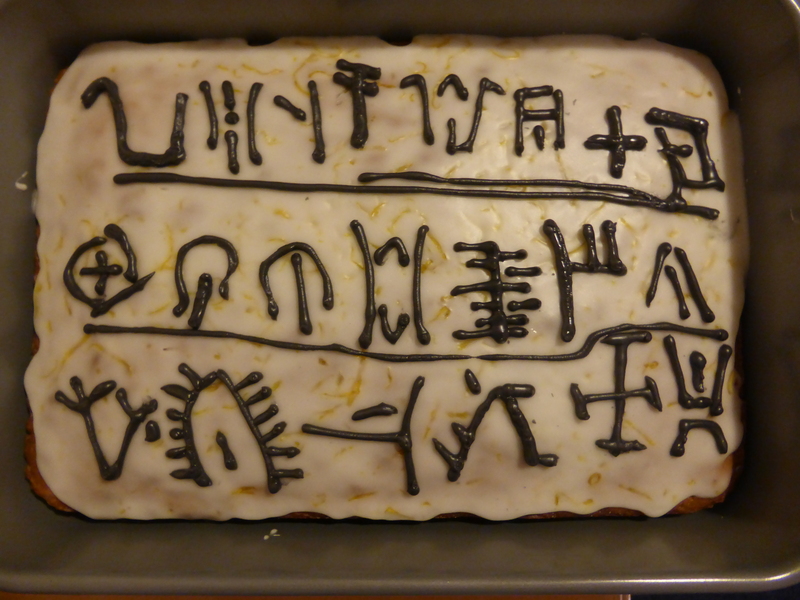 Meanwhile, in a slight departure from the usual format of the Linguistics Baking series, here is a Modern Greek birthday cake. Yes, even in the Classics Faculty we occasionally venture out beyond the realms of dead languages in manuscripts and inscriptions, and attempt to use languages we can actually communicate in. 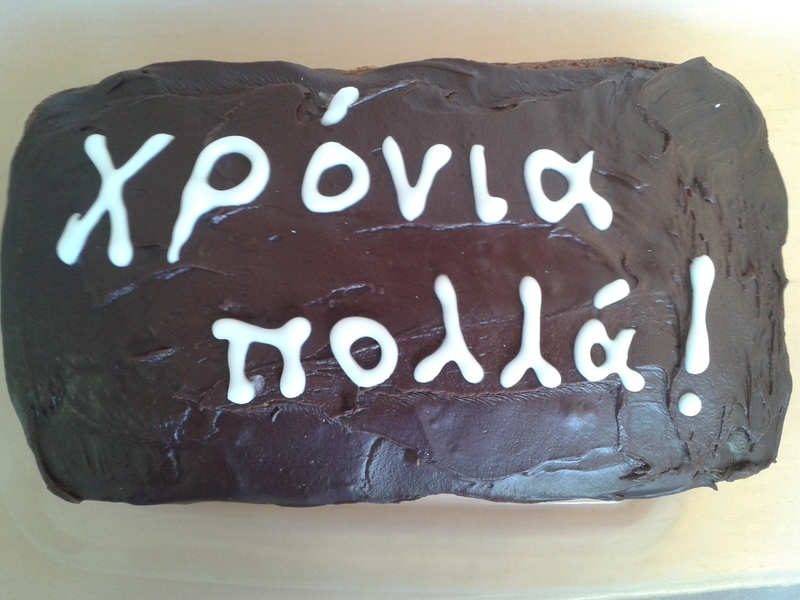 My recent attempts at speaking in Modern Greek, however, were mostly sufficiently embarassing that sticking to writing it on cake seems the safest option. *Yep, this is a shameless plug for a conference I’m speaking at. If neither the extremely exciting programme nor the at least equally exciting prospect of cake can tempt people to attend then I give up.